Who said chivalry is dead? 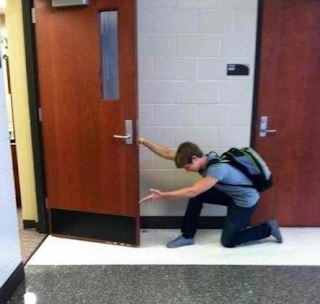 This image displays one individual's opinion on how a guy should open the door for a girl. What do you think of this picture?